Conformément aux directives de la CNIL, pour poursuivre votre navigation dans de bonnes conditions, vous devez accepter l'utilisation de Cookies sur notre site. 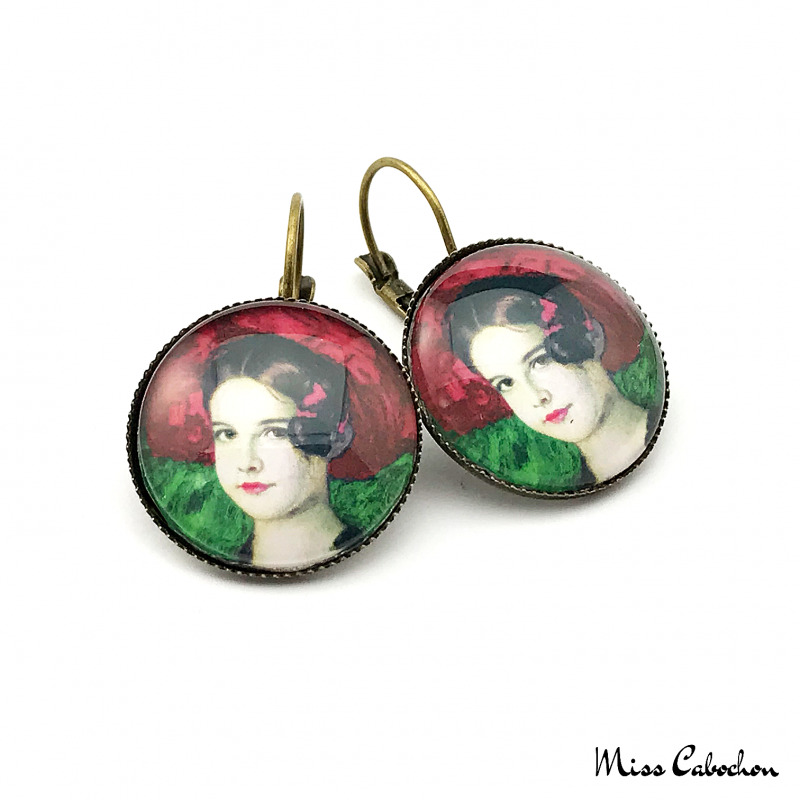 Round earrings "The girl at the red hat"
Each copy may be slightly different from the picture. Freeshipping all over the world! By buying this product you can collect up to 11 loyalty points. Your cart will total 11 points that can be converted into a voucher of 1,10 €. Recommendations for use Do not put in prolonged contact with water. 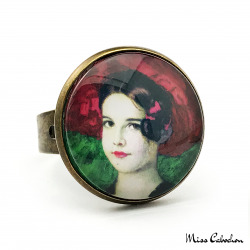 Where are worn Miss Cabochon's jewelry?